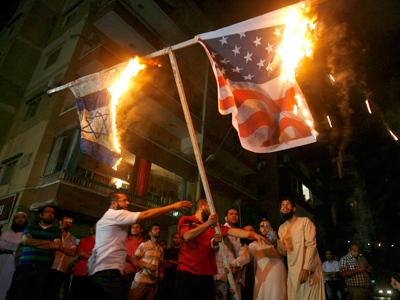 Egypt's Muslim Brotherhood is in an awkward position after the US Embassy in Cairo noted a stark difference in tone regarding the recent attack on the American diplomatic mission in the party's official English and Arabic Twitter feeds. ­Khairat el-Shater, the Brotherhood's deputy head, was quoted in its official English-language Twitter account, @Ikwanweb, as saying he was “relieved none of @USembassycairo staff was hurt” in the Tuesday attack. El-Shater said in the post that he hoped US-Egyptian relations would not be rocked by the "turbulence." 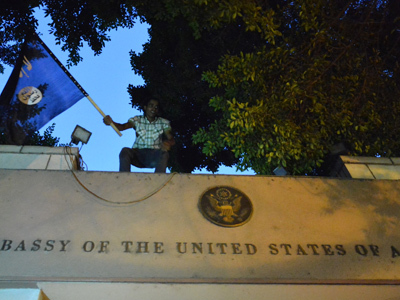 The US Embassy in Cairo was quick to respond, thanking @Ikanweb. "By the way, have you checked out your own Arabic feeds? I hope you know we read those too,” the tweet continued. The Brotherhood shot back, "We understand you’re under a lot of stress, but it will be more helpful if you point out exactly the Arabic feed of concern." Meanwhile, the group's leaders have called on supporters across Egypt to attend a demonstration in Cairo Friday in response to an obscure American-made movie portraying Islam's prophet, Muhammad, as a child molester. A version of the film dubbed to Arabic was aired on Egyptian television months after the original sat largely unwatched on YouTube, causing outrage among conservative Muslims in the region and sparking protests in Egypt as well as Lebanon, Libya, Tunisia and Yemen. 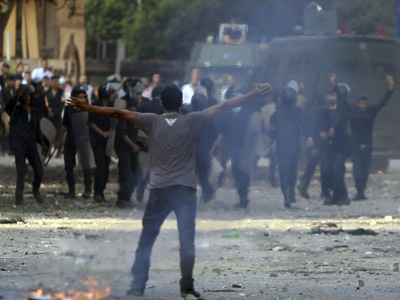 Egypt, which receives more than a billion dollars in aid annually from the United States, is now headed by President Mohamed Morsi, who emerged from the Muslim Brotherhood to head the Freedom and Justice Party, winning a national election after a popular revolt overthrew the government of President Hosni Mubarak last year. 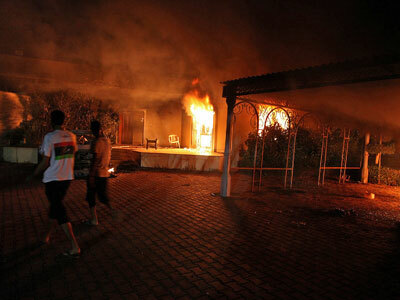 In any case, Obama has called on his colleagues in Egypt and Libya to provide extra protection for American diplomatic stations in their countries after a US ambassador and three of his staff were killed as the US Consulate in Benghazi, Libya came under attack on Tuesday.